M Shed’s Peckett ‘Henbury’ is in operation this festive season, at the Midsomer Norton headquarters of the Somerset and Dorset Railway Heritage Trust. Henbury was in operation 14th/15th December (In conjunction with the ‘Santa at the Station’ special event), and again on 21st-22nd, before returning to Bristol. Youtube user swearingkevo uploaded this footage of Henbury tackling the gradient. The following images appear here with the kind permission of the Somerset and Dorset Railway Heritage Trust. The Ruston drags Henbury and Portbury into the open air, in order for Henbury to be prepared for travel. Departing the station with Mark 1 coach and Queen Mary brake van in tow. Storming out of Midsomer Norton in rather sunnier conditions, during the 2nd operating weekend. The visit has been well-received, and even made the local news. Rob Skuse has added a great set of pics and video clips to the M Shed Working Exhibits Facebook Page, click on the photos to see the whole set! 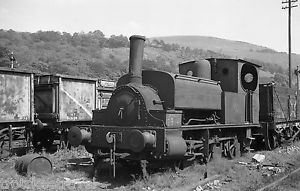 A little known and lesser-spotted member of the M Shed Collection is Fox, Walker and Company 0-6-0ST Locomotive Number 242. Built in 1874, it is the oldest of the three steam locomotives, being 43 years older than ‘Portbury’ (and 63 years older than ‘Henbury’!) and enables the museum to represent all the major engine builders in the Bristol area. 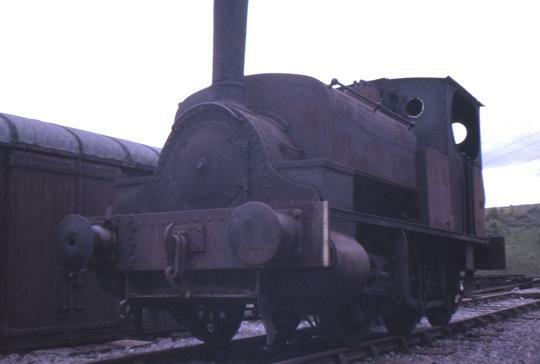 242 was the first locomotive to arrive in the museum’s collection. 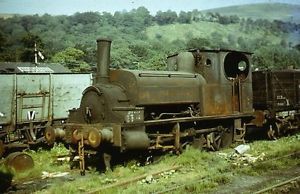 It was donated by the National Coal Board in 1962, having previously worked at Mountain Ash Colliery in Wales, where it was No.3. These two photographs were spotted for sale on ebay, unfortunately only the thumbnails were available to view online. They show 242 while still at Mountain Ash. It shows NCB Mountain Ash No.3 in detail before departing for Preservation. Prior to the preserved BHR opening in 1978, she, along with ‘Henbury’ and ‘Portbury’, was to be found at Radstock Station. This was the hub of the initiative to re-open a section of the famous S and D route, spearheaded by the Somerset and Dorset Railway Trust. As previously mentioned, the SDRT moved to Washford station on the WSR in 1976. Geoff Cryer took these pictures of 242 in the shed at Radstock in September 1975. When the Radstock project was disbanded, Number 242 went to Bitton (on what is now the Avon Valley Railway) between 1977 and 1986, when she returned to Bristol and was stored in L Shed. As preparations were made for Bristol Industrial Museum’s conversion into M Shed Museum, the locomotive was made ready to move to another secure location. Larry the Loader tows 242 out of the workshop.